Hopefully, ISRO also has learned something about managing the disclosure of information about civilian space missions, particularly those involving international partners, even if the news is bad. Unfortunately, Chandrayaan-1 stands out as an example of how not to do it. In announcing that Chandrayaan-1â€™s orbit had been raised to 200 kilometers, for example, ISRO said the probeâ€™s primary mission had essentially been completed and couched the maneuver as a means of carrying out additional studies. No mention was made of the overheating problem that appears to have been the actual reason for the maneuver. ISRO demonstrated its ability to lead an international mission with Chandrayaan-1, and is collaborating with Russia on a follow-on mission that will include a lander and rover. Part of the responsibility that comes with such a leadership role is being forthright and up front with details when things go wrong. ISRO can and should do better. 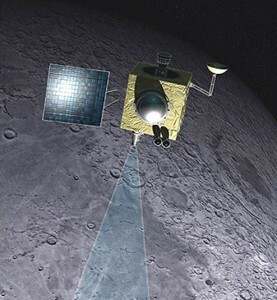 It can start by including representatives of its partner agencies in the investigation of Chandrayaan-1â€™s premature failure, and then by making the results of that probe fully available to the public.